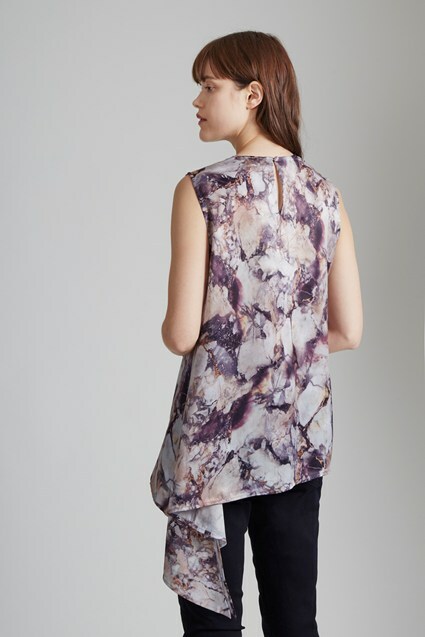 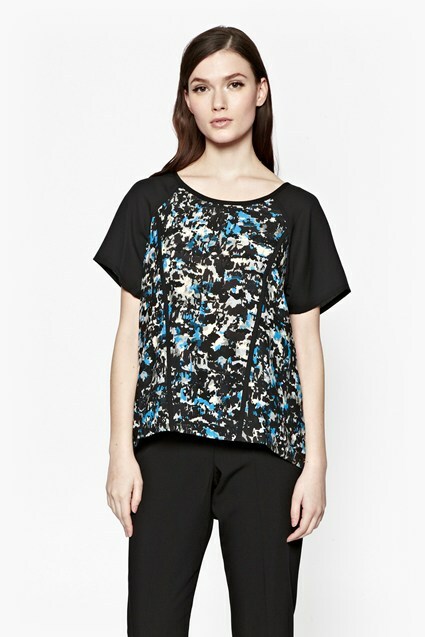 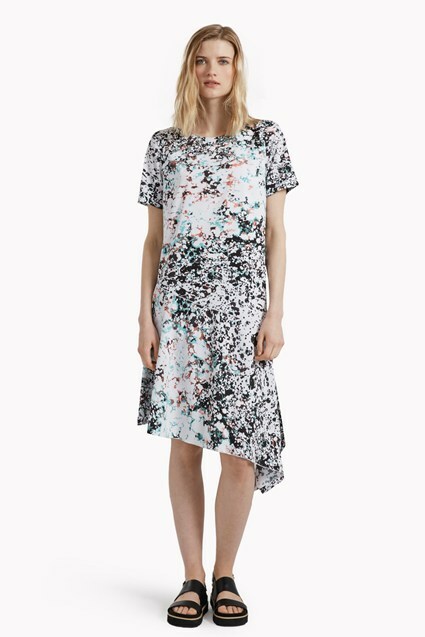 Our silk-look Verona marble-printed sleeveless top is a flattering day-to-evening top. 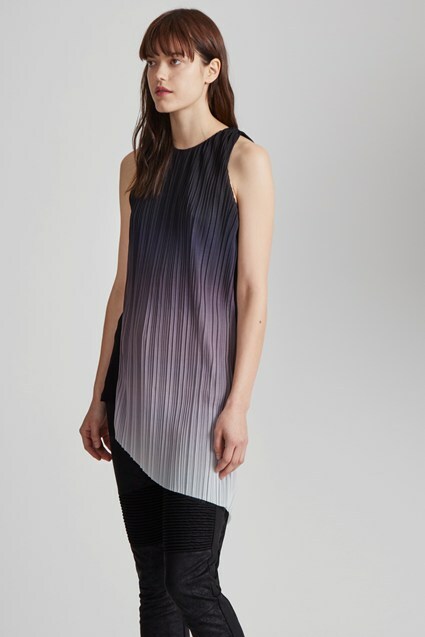 It is crafted from a lustrous, silky-smooth material that elegantly drapes over the silhouette into a feminine A-line shape, cascading into a longer-length asymmetrical hemline. It also features lightly extended sleeves to cover all bra straps, for a comfortably stylish 18-hour top.